Rosatom gives an insight into its Proryv or Breakthrough project, which aims to close the nuclear fuel cycle, solving problems related to spent fuel, uranium availability and economics. Globally, nuclear energy has faced problems that have had an impact on its development and the increase in its share of the global energy mix. Among them are high safety/security requirements, the need to address the management of spent nuclear fuel (SNF), as well as restrictions related to non-proliferation of nuclear materials and technologies. In the foreseeable future, uranium shortages may add to these challenges, since proven uranium reserves are only suf cient to ensure the operation of the world’s nuclear power plants until the end of the current century. The solution to these problems can be achieved by moving to a new technological platform – a closed nuclear fuel cycle based on fast neutron reactors. A closed fuel cycle will make it possible to use accumulated uranium-238, which according to the World Nuclear Association totals 1.6 million tons, as an energy resource and will pave the way to the creation of non- waste generating nuclear energy technologies. An additional advantage of the closed fuel cycle is that after reprocessing SNF there is a relatively small amount of radioactive waste that requires special treatment and disposal. During operation, a fast reactor produces plutonium in an amount suf cient to supply itself with new fuel and produce a certain amount of fuel for other thermal reactors. By processing spent fuel and manufacturing a new mixed uranium-plutonium fuel, the amount of energy that can be obtained from natural uranium increases approximately 100-fold. A closed nuclear fuel cycle using fast reactors has the following advantages: the elimination of severe accidents that go beyond the building and may require evacuation of the population; a reduction in accumulated spent nuclear fuel; the removal of restrictions on the uranium resource base for several millennia; and technological support for the non-proliferation regime. At the International Atomic Energy Agency (IAEA) Conference on Fast Reactors and Related Fuel Cycles: Next Generation Nuclear Systems for Sustainable Development (FR-17), held in Ekaterinburg (Russia) from 26 to 29 June 2017, Rosatom presented its advanced developments. This included a draft of its ‘Breakthrough’ (or Proryv in Russian) project, which provides a framework within which nuclear energy technologies of a new generation can be developed. These are based on practical closure of the nuclear fuel cycle using fast neutron reactors. The fast reactor conference, held every four years, brings together in different countries the world’s experts engaged in the development of fast reactor technology. “The goal is to de ne the path of development on this subject for the nuclear power industry globally,” says Deputy Director General of Rosatom, Director of the Innovation Management Unit, Vyacheslav Pershukov. Ekaterinburg was chosen as the venue for the FR conference in 2017 because the world’s only industrial-scale fast neutron reactors – BN-600 and BN-800 – operate in the nearby city of Zarechnoye at Beloyarsk NPP. The conference gathered an unprecedented number of participants for such an event (~ 700), most of which were foreign experts. One of the main trends seen in the world nuclear industry is an increase in the cost of building nuclear power plants. Since the accident at the Three Mile Island nuclear power plant in the USA in 1979, and after the accidents at Chernobyl and Fukushima, the volume of capital investment required for putting in place additional safety barriers has increased three-fold. This seriously increases the overall cost of nuclear power plant construction projects. In addition, the amount of SNF is increasing, and resources are diminishing. Even if global installed nuclear capacity remains at the current level, with only thermal neutron reactors in use, there could be a shortage of uranium raw materials by the end of the century. These problems require a solution. Fast reactors, in which there is an excess of neutrons, can simultaneously meet safety requirements and solve the problem of SNF. Another feature of closing the nuclear fuel cycle is returning waste to the land with a comparable level of radioactivity and radiotoxicity, as in the extraction of uranium raw materials. Almost all the problems facing the nuclear power industry are being solved by the new Russian Breakthrough project which is being carried out within the framework of the federal target programme “Nuclear energy technologies of a new generation for the period 2010-2015 and up to 2020”. The multi-strand project involves a number of Rosatom enterprises, universities and institutes of the Russian Academy of Sciences, with project management being led by the Russian nuclear industry. 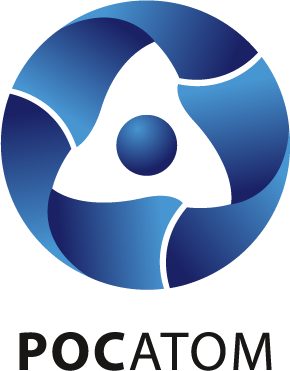 Instead of forming new enterprises within Rosatom, responsibility centres were identi ed for reactor installations, development of technologies for mixed uranium-plutonium fuel, reprocessing of SNF, handling radioactive waste, and the creation of new generation computer codes. Responsibility centres are special units of the basic enterprises, uniting in a single team a group of specialists with the necessary set of competences for work on the ‘Breakthrough’ project. These centres come under the unified scientific and technical guidance of the Innovation and Technology Centre of the Proryv Project (ITPP). “Our Centre is a system integrator for the project. It forms and maintains a unified information space, consolidates both the results of the work in the responsibility centres and its own developments within the framework of the information model and the integrating project, and also creates mathematical models for the project,” says the director of ITCP Proryv, Alexey Podlesnykh. This method of management is a pilot for the Russian industry. Today, experts from Rosatom’s leading scientific, design and production organisations are working in seven centres of project responsibility. “By 2030, we must create prerequisites for the further development of nuclear power, which includes both thermal neutron reactors and an increasing number of fast neutron reactors,” notes Vyacheslav Pershukov. with the BREST-300 lead-cooled fast reactor and a fuel cycle plant. The fuel plant will include modules for processing irradiated mixed uranium-plutonium (nitride) fuel; fabrication of initial fuel elements from imported materials; and in future the production of fuel elements from reprocessed irradiated nuclear fuel. The initial work on the BREST-OD-300 project was completed in 2016. “Project ‘Breakthrough’ has been carried out ahead of schedule of other world-class nuclear power projects for about 10 years,” says Yevgeny Adamov, the project’s scienti c director. In the Soviet Union, at the laboratory level, they managed to work with all kinds of solid fuel and focused on a nitride mixed uranium-plutonium (SNPP) fuel. Rosatom is now leading development of this type of fuel, and by 2019 it plans to complete both pre-reactor and reactor studies to justify nitride fuel for the first loading into the BREST-OD-300 reactor. At the end of June, the Siberian Chemical Plant was supplied with all the necessary equipment for mounting the system for carbothermic synthesis of nitrides for manufacturing the BREST-OD-300 reactor fuel. Installation of the production line is scheduled for 2018. The most complex engineering problems arise with the reinforced concrete body of the BREST reactor. A stand was created on which the body models of the hull and its elements, including bottoms, are being tested at full scale. Studies were also carried out on the penetration of hot lead into heat-resistant concrete, with a breach of tightness of the metal lining. the requirements of modern nuclear power plant standards. The same developers as for the currently operating nuclear power plants are engaged in the design of the steam generator and the main circulation pumps. The ‘Breakthrough’ project also plans the development of a BN-1200 facility with sodium coolant. “It is envisaged that the BN-1200 will be able to operate with a load factor of at least 90%. BN-1200 is already close in commercial characteristics to VVER reactors; it is near to achieving competitiveness,” notes Vyacheslav Pershukov. Yevgeny Adamov is con dent that Russian nuclear power engineers can demonstrate the working technologies of closing the nuclear fuel cycle on the basis of fast neutron reactors and so prove the advantages of these technologies for the development of nuclear energy in the next ve years.